One of the things I thought would be next to impossible to find is a dress designer to alter and mend my 100 year old wedding dress. Yep. You read that right. My wedding dress has had a life or two or three before me. That's one of the things I love more than anything about her, but it does have me being a little more precious about who I choose to work on her. (yes. my dress is a girl) But google's got my back. 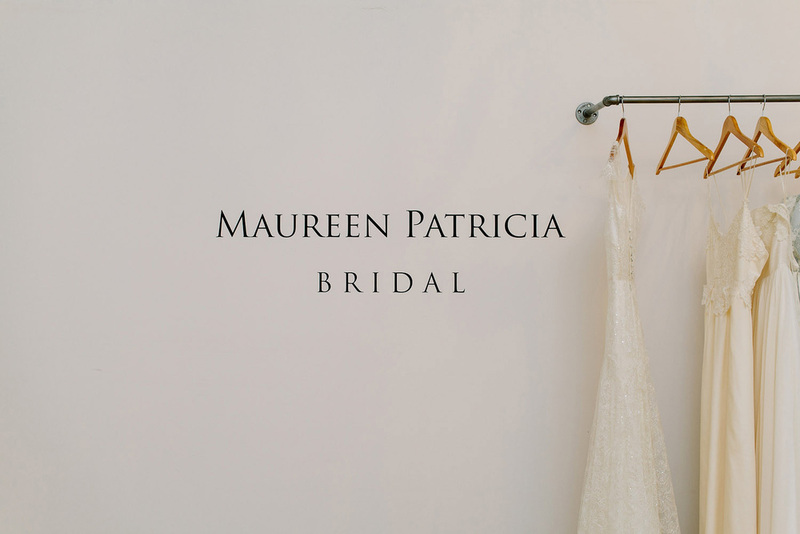 I've drooled over Maureen Patricia's work before, but didn't realize she works on vintage dresses, so thank you google for connecting the dots between my alteration search and Maureen Patricia! I know my dress is in loving and capable hands. Maureen Patricia doesn't have a store front you'll walk by on your way home from brunch. She has a glorious, bright studio tucked away in Leslieville. 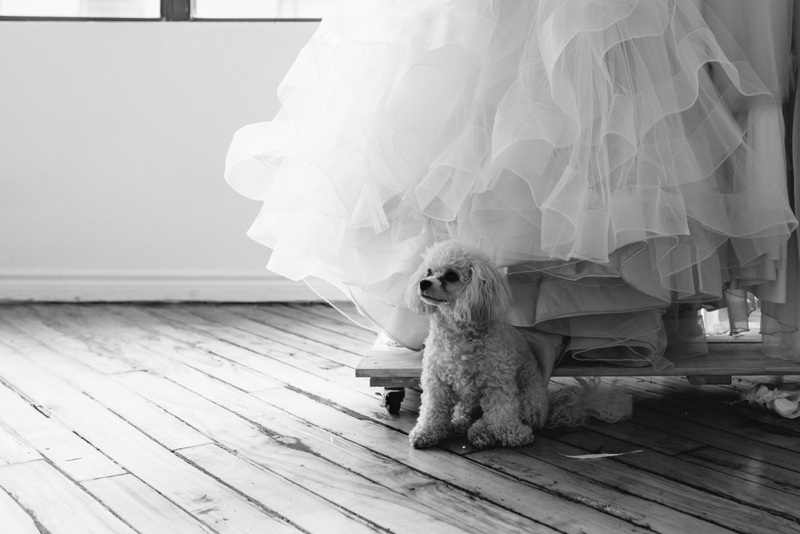 If you don't already know she's in Toronto and making to die for wedding dresses, now you do. 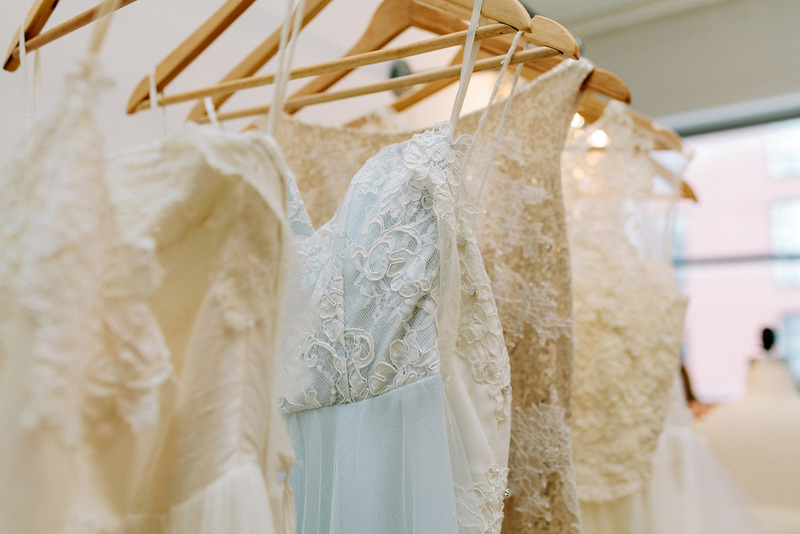 You need to put her on your list of bridal boutiques to check out when you're on the hunt. Her work is exquisite and she's the absolute sweetest. I spent some time with her in the studio last month, taking photos while she worked and chatting about work, life and a million other things. The more time I spend with her, the more I adore her, and the more time I spend in her studio the more dresses I want. 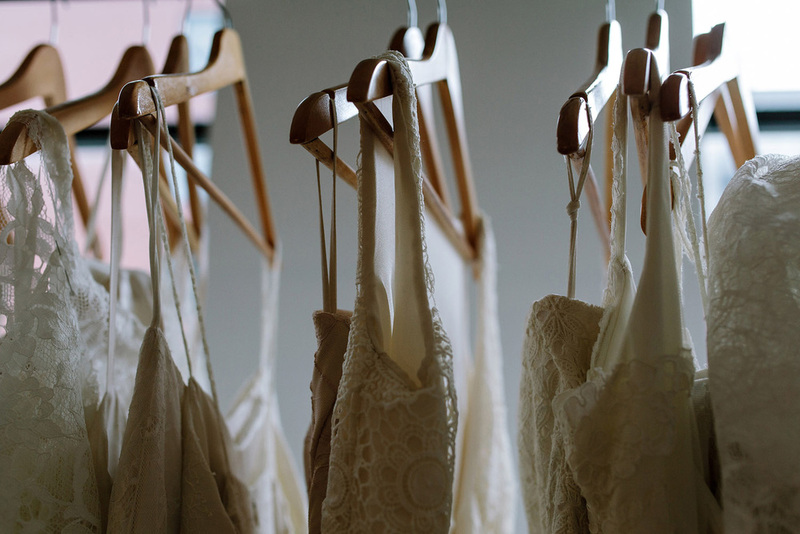 I can have five wedding dresses, right? That's not excessive? Laughter. I love it. Big belly laughs. Little chuckles. Squeals & squeaks. Laughing so hard nothing comes out, or tears fill your eyes, or your muscles ache. This afternoon with Irene & Charles was so full of laughter. I'm pretty sure there isn't a single day that Charles doesn't make Irene laugh so hard her sides ache. No wonder she said yes.